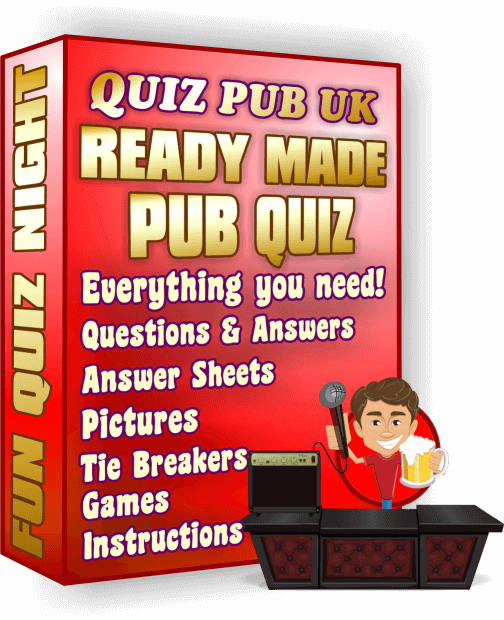 I made Mega Bingo specifically to use in pubs whenever I do a quiz. It's an interactive bingo DVD! Just pop it in your DVD player, computer or laptop and let it do all the work for you. It picks random numbers (no two games are ever the same) which are displayed on your TV screen and a bingo caller calls them out so you don't have to. It's the only bingo game that uses animation and bouncy background music. 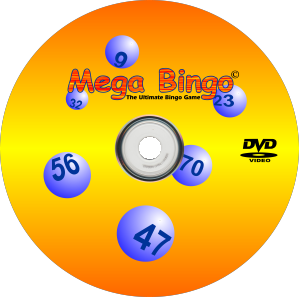 You will also get a link where you can download an unlimited supply of bingo tickets I made to use with Mega Bingo. 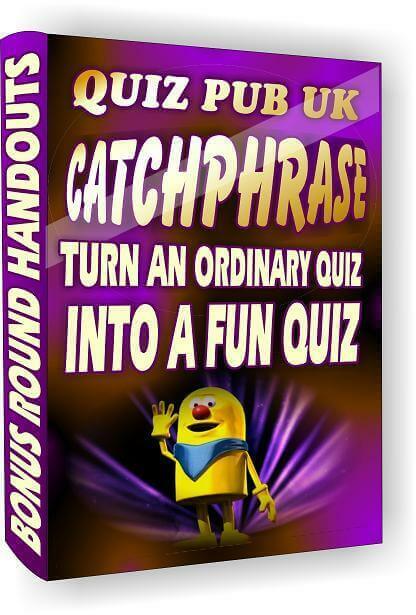 I've been using this Bingo DVD Game half way through my quiz nights for 10 years now, my customers look forward to it and it breaks up the quiz nicely. You can play a quick game for 1 or 2 lines, or play for the full house. 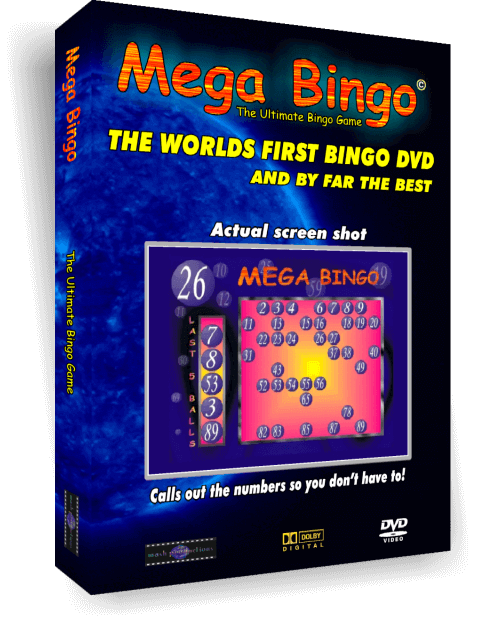 The game took hundreds of hours and thousands of £'s to create and it was the worlds first ever Interactive Bingo DVD when I made it and is still the best by far. The price? 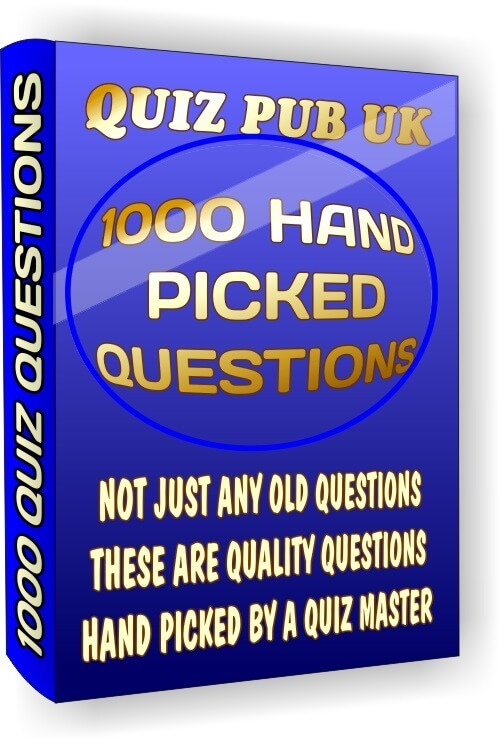 Only £6.99 plus postage and packaging costs. We always post the game the next working day and you will get an email confirmation from us when it's been dispatched. Please don't order this game if you need it by tomorrow, it takes between two and five days if you live in the UK and up to ten days depending where you live outside of the UK. The actual cost to us for posting the game varies from £2.35 - £3.40 and the 'Jiffy' bag cost £0.50 so we've averaged the price to £2.99 for everyone no matter where you live, a fair price. The DVD case is like the picture above but slim and inside is the main game DVD like the picture below and an instructions card. The DVD is home made but we only use the best quality DVD-R which will last for years if handled correctly, I've been using the same Bingo DVD for 8 years now and it has never let me down. Why did I make it? At the time I couldn't afford a proper Bingo machine which would have cost hundreds so I was forced to buy those cheap plastic toy ones but they always broke or the balls would get lost when they fell out the machine by accident which was a common occurrence. In my spare time I was learning a BASIC computer programming language called Dark Basic which got me thinking, would it be possible to code a Bingo game on a PC then export it to DVD format and would it be possible to make the DVD player pick a different game every time? After a lot of research I found out it was possible and that nothing like it had ever been done before, I immediately copyrighted my idea, and I was sure I would make my fortune. The process of converting the game to a video in 2006 was not as easy as it would have been today, a few simple lines of code told the game to grab a screen shot and save it as an image to the hard drive, it had to do this every frame, the total number of frames for 1 game was over 14,000 and it took my PC seven and a half hours to complete the task. Next I used a video program to stitch all the frames together to create a movie file, this took 14 hours to do, this is for an 11 minute video! Then I had to synchronize my voice calling out the bingo numbers for the sound track for each movie clip. Of coarse there had to be lots and lots of movie clips so this took many weeks. I got in touch with a DVD manufacturer in the UK and was emailing back and forth with their technician, it was complicated stuff getting the screen sizes, frames per second, sound track aligned and so on. Their technician was able to put some very clever code on the disc that told the DVD player to never pick the same movie clip twice, until all the clips had been played once each, this came with a whopping £1500 price tag but this had never been done before. Then disaster struck, just as I had finished making all the movie clips our house got burgled and my computer was stolen, I'd made backups but they stole those too! I had to start all over again from scratch, write the computer program, everything! It set me back months and I was desperate to get it out before Christmas, the DVD manufacturers were also very busy at that time of year so it was going to be close. Then disaster number two, Gala brought out a Bingo DVD weeks before mine was ready, I literally could not believe it, people said they stole my idea but their game looked nothing like mine, it was utter garbage. With their big organisation and big money they had it advertised on TV and in all the shops for Christmas. Their game got nothing but terrible reviews, the main one being that there was only 1 set of numbers! That's right, the same numbers in the same order every single game, what a joke! Mine was on Amazon and never got a look in, while they were selling thousands of their rubbish games every day, I was selling 1 or 2, it took me 5 years to sell the 1000 games that I had made by the DVD manufacturers, at a cost of over £5000. Conclusion? £6.99 seems like a real bargain now you know the story behind the game so what are you waiting for? Buy it now before I put the price up!